Meet Pinkie Monkey: Your Child's New Best Friend! Pinkie has been soothing fussy babies since she hatched. She was created for tiny hands and fingers that are just learning to grasp anything within reach. She is soft and textured for discovery as well as play. 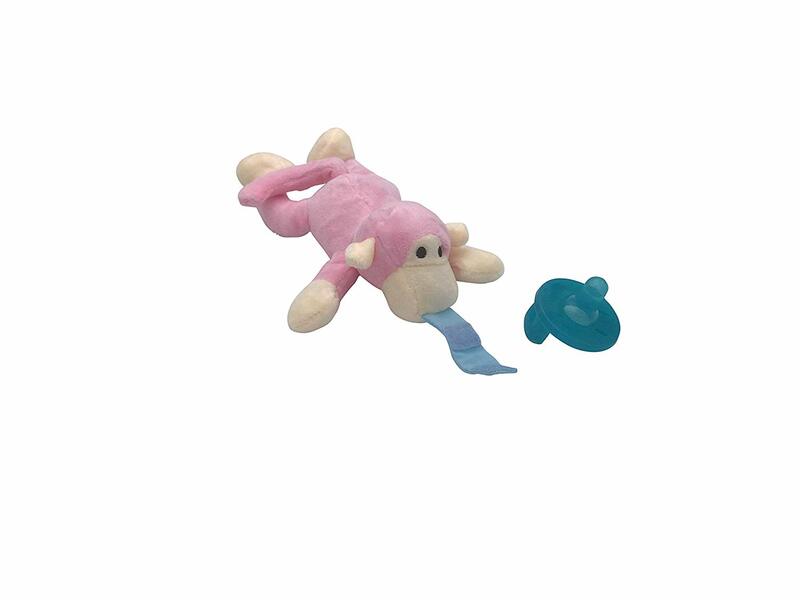 Pinkie Monkey is small and soothing, but sturdy and designed to not fray even after hours of intense playtime. Parents love that Pinkie Monkey is machine washable, BPA and Phthalate free and created with the highest quality cotton and polyester blend. Pinkie is waiting to help you prevent that ultimate stress of frantically searching for your baby's lost soother. Pinkie’s BPA free medical grade silicone pacifier can be removed and reattached as needed. She was created for newborns up to 12 months. Pinkie Monkey roams hospitals, NICUs and the smartest parents' homes nationwide. She travels easily and never gets left behind!